Some things just go perfectly together, even if they’re so very different. Strawberries and black pepper. Bacon and syrup. Watermelon and feta. Okay, I haven’t tried that last one, but I’m told it works. Sekiro and Devil May Cry 5 have a fair few similarities – they’re both early contenders for game of the year, and both products of Japanese developers at the top of their game – but they come from opposing ends of the action spectrum. Sekiro, as you may well know, updates the long neglected Tenchu formula, demanding patience, exquisite timing and controlled bursts of aggression. Devil May Cry 5, on the other hand, plays faster and harder, a relentless explosion of noise and fury. And so if Sekiro swells with grace like a shomyo chant, Devil May Cry 5 thumps like the death metal that screams through an angry teen’s freshly slammed bedroom door. And, it turns out, the two complement each other just brilliantly. Maybe it’s just the way I play games – though given how attention spans have been whittled down in the information age, I’m sure I’m not alone – but I often have two or three titles on the go at any one time, flicking between them at various points across the course of an evening. Get stuck in one particular game? Worry not, for there’s one just a few dashboard menus away. And Sekiro is a game where butting up against its severe challenges is very much part of the experience. It’s a rhythm that might frustrate, but I’m more often than not happy to give myself over to it, learning a little more with each inevitable death and pushing to survive that little bit longer. 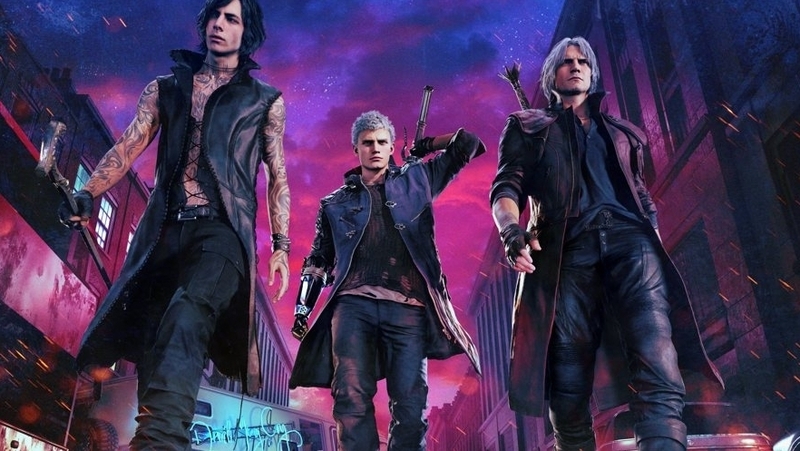 That said, sometimes it’s just nice to unwind, and there’s no better way to do that than a quick blast of Devil May Cry 5. Or, more specifically, by turning to Devil May Cry 5’s Bloody Palace, which just came as part of a free update this week. It’s become a staple of the series since its introduction in Devil May Cry 2, offering a no-frills succession of floors filled with enemies for you to clear out with just a single life and a limited amount of time. It’s thrillingly pure, a guttural roar of a mode you’re compelled to scream alongside with, its sparseness only helping put the heart of Capcom’s incredible game into sharper focus. I’m not going to pretend playing through Bloody Palace is an easy or particularly relaxing time, but when placed in stark contrast to Sekiro it offers pure catharsis. And it also shows that there’s more than one way to go about your action in video games, with Capcom and From’s approach as valid as one another. What better way to enjoy the two best games of 2019 so far than playing them back to back?